Sir Ken Robinson and the Mis-Education of Calabarboy. | Thoughts of a Calabarboy. Sir Ken Robinson and the Mis-Education of Calabarboy. – Thoughts of a Calabarboy. 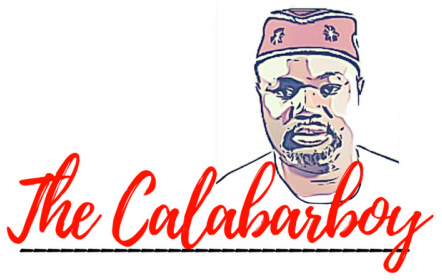 Sir Ken Robinson and the Mis-Education of Calabarboy. For a long time I have been reconsidering the way I have been educated (or mis-educated) over time and have to come to realize at what point of this process I lost some of my childhood dreams to what I call the practicalities of reality. This of course was the painful pill my parents and teachers gave me to swallow and for which I was pretty rebellious about, but felt good as it gave me a place among the “literate folks”. But I lost something in the process and I am still trying to get it back and that is ‘the innocence of childhood faith in everything’. Ken Robinson so masterfully reminds me of my current struggle and I want to share his video directly on my blog. So watch and think along with me if you are one of the unlucky ones to have been wrongly educated. After I digest some more issues on the matter I will be back to share my thoughts on the it. I for one agree that not everybody needs to go to College. I have to drop out now. Considering the fact that I don’t really know if I have a talent or not…I think it is necessary. Seriously, thanks for posting this. Sometimes, we have to take a few steps back and evaluate our personal state of affairs. Formal education doesn’t necessarily have to be the only criteria for success or recognition. In the Western world, its especially applicable, right? Rich nations can rely only on creativity, talent and innovation if need be. I don’t know if this applies to the developing world, where education is fundamental (perhaps, a university degree isn’t that necessary for everyone in Africa for instance, but OPPORTUNITY and the right ENVIRONMENT for talent to thrive). But basically, this reinforces the message of Loving what you do, and being the best at what you set out to do.